Closed in less than 30 days! Thanks to you and your husband for doing such a wonderful job representing us. I wouldn't and won't hesitate to refer anyone I can to you in the future. We had almost given up when we met Janien at an open house a year and a half into our search for a first home. By the time we met Janien we had worked with 3 other agents: the friend with good intentions (he just didn't understand what we needed), the more mature experience agent ( she never showed us a single property over a 3 month period), the hot shot young agent from a firm with amazing yelp ratings (the only offer option she knew was above asking as much as possible) and finally and thankfully we met Janien. Janien took on our frustration and our goal to find our first home for our family. She is amazing, she showed us properties at all hours, fought for us and backed us every step of the way. It is amazing to truly have someone who is on your side and not just out for a commission. Janien treated us as if we were her number one priority and we were looking for an entry level home. It was refreshing to work with someone that has such a great work ethic and just won't give up. Janien is the hardest working person I have ever met, if you truly want someone that is on your side and will go above an beyond Janien is the only choice. She found us our home, battled for us and continues to keep up with us and answer any questions that come up. I would recommend her to anyone looking for a home, you simply won't find anyone better. 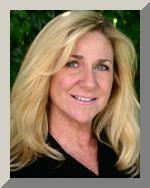 Janien Canal was instrumental, helpful, and informative in our selling of our condo in Calabasas, California. With her experience and knowledge she helped us navigate safely through the process. Her previous experience allowed us to lean on her and depend on her for guidance and advice. She was always quick and responsive to the multitude of questions we had and that would come up throughout the process. In the rare cases she didn’t have an answer, she quickly researched and got back to us with the information we needed in order to make an informed decision. From the start, Janien walked us through the process step by step and let us know along the way what we would expect in order to minimize any surprises. She is a true professional that cares about her clients and looks out for them. What sets her apart is her willingness to sit down and go step by step through all of the paperwork, never losing patience, and never losing focus. She was diligent and responsive. With all the paperwork that went back and forth, she kept track of everything without fail. We would highly recommend Janien if you’re looking to sell, or buy, a home. Wanted to take this opportunity to thank you for the remarkable job you did on the recent purchase of our home. You were the consummate professional and always available to us. You went above and beyond. You made a stressful time so enjoyable. I would recommend you to all my friends. Keep up the good work. We wanted to let you know how much we appreciate all of the work you did to sell our home. Your professionalism and commitment prevailed. You are truly a gem to work with! Janien, You worked so hard to find us our big beautiful dream house. It was not an easy task as we were so specific. YOU DID IT. Thank you so much for all the hard work you did for us. Your ability to create smooth transactions in the sale of my home and the purchase of my new townhouse made for a very pleasant experience. Your knowledge of Proposition 90 was extremely beneficial! I would feel confident in referring you to any of my friends for future business. Thank you again! I just wanted to take a moment to thank you for all of your help. As you know, this was the first house that I have ever purchased and needless to say, at first, I was pretty nervous about the whole thing. You walked me step-by-step and basically held my hand through everything and reassured me that it was all going to go smoothly and it did. I know I wasn't the easiest to work with, was very picky about what I was looking for and you must have shown me 100 homes before I found the one that was perfect for me, but I did find it and I am so thankful for all of your hard work. You were very professional and friendly at the same time, which put a lot of ease to my mind. I can't thank you enough and I will be sure to let you know when I have my house warming party. I hope you can make it! The speed with which you sold my home, two weeks after the listing, was remarkable, as was the painless way the sale went through, thanks to your efforts! Very professional , hard working, caring , compassionate person. Sorry we haven’t reached out sooner! You are always on our minds and we will never hesitate to refer friends to you. You helped us find the perfect home for us and we couldn’t be more grateful. In fact, it’s such a great family home that Jake and I welcomed a baby boy just seven weeks ago :) Our home has enough room for the baby room, a place for grandma to sleep when she visits and more. Plus I love walking around the neighborhood while on maternity leave. We hope you are well too! Sending lots of thanks and love.